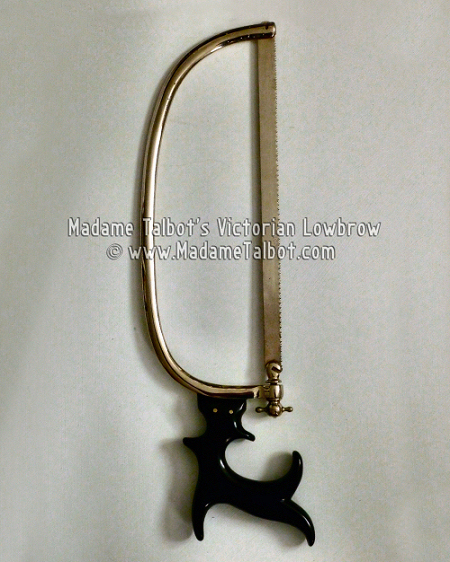 The beautifully scrolled ebony handle is of a style often seen in English-manufactured saws. As you can see, the handle allows the operator to maintain a superb grip on the saw which would help facilitate a quick amputation. Condition is exceptional. Very clean, almost no tarnish - possibly Nickle-plated finish. Saw total 17 inches in length and is 5 and 1/2 inches wide.